Dr. Palmieri and his team have provided an unequaled level of orthodontic care in the Long Island Community since 1989. We are committed to providing you with the best orthodontic experience in a friendly, fun and high-tech atmosphere. As the future of orthodontics heads towards accelerated treatment, Dr. Palmieri has always remained on the forefront of new treatments, technology and practices. We continually work to attain an unequaled level of service that exceeds our patients highest expectations; a level that secures! Our comprehensive orthodontic treatments include braces for adults, children, and teens using state-of-the art technology, including Invisalign clear aligners at no extra charge, and the goo-free iTero Scanner which takes 3D images of your teeth/bite and will provide you with a simulated outcome of your results! In addition to traditional braces, we offer AcceleDent, a new, innovative treatment option that dramatically changes the orthodontic experience and outcomes for patients. 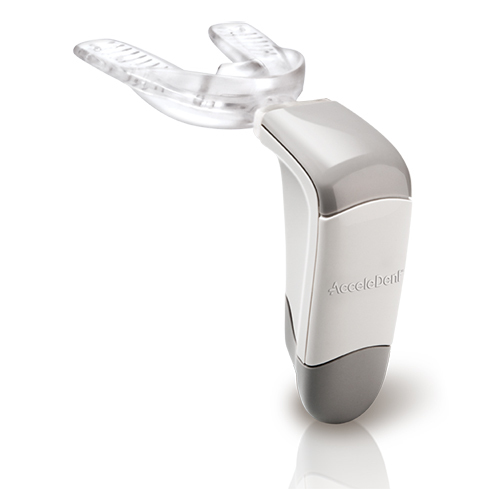 With AcceleDent, we are able to offer faster treatment and less pain. Thank you for taking a moment to browse our website and learn about our practice. We look forward to setting up your consultation to learn about which innovative treatment options will lead you to a better smile.